Hotel bars are a neglected bunch in the local cocktail scene. There’s an ongoing misconception that a bar in a hotel does one of two things — mix you a simple drink to accompany your dinner at the adjacent restaurant, or pour you a pint as you wait to get your room key. 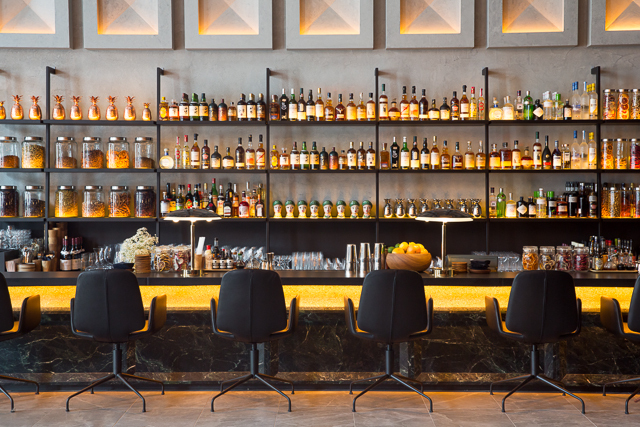 Granted, many hotel bars are so much more than that, and it’s heartening to have bartenders like Andrew Zeng and Julian Serna of The Warehouse Hotel’s lobby bar trying to break this mould. Their new cocktail programme is inspired by the heritage behind the newly opened Warehouse Hotel. Way before the Lo and Behold Group established the swish boutique joint, the location used to be the heart of the spice trade, followed by an illegal distillery that made rice wine, before becoming a seedy disco. The menu charts these three phases with nine different cocktails, using heavily local and regional ingredients, as well as house-made spirits and bitters to elevate the drinks. Pulling elements from local history isn’t an entirely novel basis for a cocktail programme, if we’re being honest. But these drinks do serve up a dose of nostalgia that makes them interesting. The first part of the menu features spice-centric cocktails that are intended to give a kick without being too spicy. The Whisky Houston is a spin on the whisky sour, focusing on tropical, instead of tangy flavours. Monkey Shoulder whisky, toffee, barley, coconut water, and spiced bitters are blended in a Perlini shaker for fizz. Zeng forgoes soda water here as he believes it tends to dilute cocktails. The result is a light, frothy mix where strong notes of banana come through (there’s no banana, it’s really the toffee and barley working their magic), making for a great starter drink. Those who prefer something heavier can try the Singapore Sazerac, made with raisin-infused bourbon, absinthe, cognac, and spiced demerara. If you’re at the bar, and you just want one drink, give the Kopi Cat a try. Its from the second part of the menu, which focuses on creating an illicit mood. The drink is fittingly sinful. Salted caramel-infused vodka, hazelnut, espresso and condensed milk is shaken, and topped off with a crumbled quarter of a Cadbury Crunchie bar. Let the chocolate honeycomb melt, and enjoy an almost syrupy, but not cloyingly sweet concoction that we wish would replace our morning coffee. 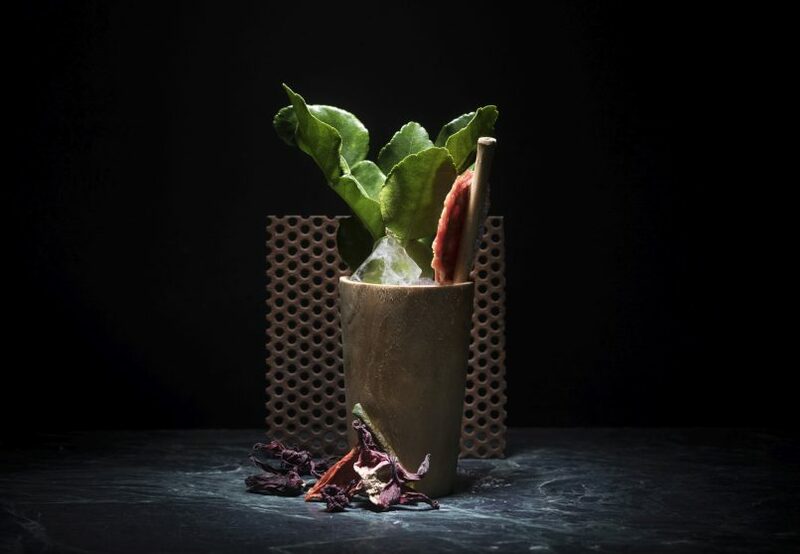 Those who prefer a more refreshing drink can try the Madame Butterfly, a fizzy roselle tequila drink reminiscent of bandung, garnished with a dehydrated watermelon round that tastes like haw flakes. The final part of the menu holds three flirty and fresh cocktails, of which the Kaya Lumpur was a favourite. Made with pineapple rum, soda, kaya and fresh basil, the resulting drink slams you with the impression of both kaya toast and pineapple tart. One gripe we had: As fans of spirit-forward cocktails, the menu seemed to lean a little light for us. Zeng justifies that the bar has tried mixing heavier cocktails, only to have poorer reception than usual. We enjoyed four off-menu cocktails, a peppery martini, a boulevardier with raisin bourbon, a Pisco sour and a gin-based spin on a Long Island, which were pleasantly punchy. Learn to love your spirits, Singapore. Neighbouring restaurant, Pó is responsible for the bar food. Try the truffle duck kueh pie tee, where juicy duck and truffle oil comes enfolded in an ultra-crisp cracker cup. If you love your chilli, get the barramundi salad, inspired by yu sheng. Citrus and chilli padi-marinated barramundi slices deliver a hefty spice kick, tempered by the fresh salad. 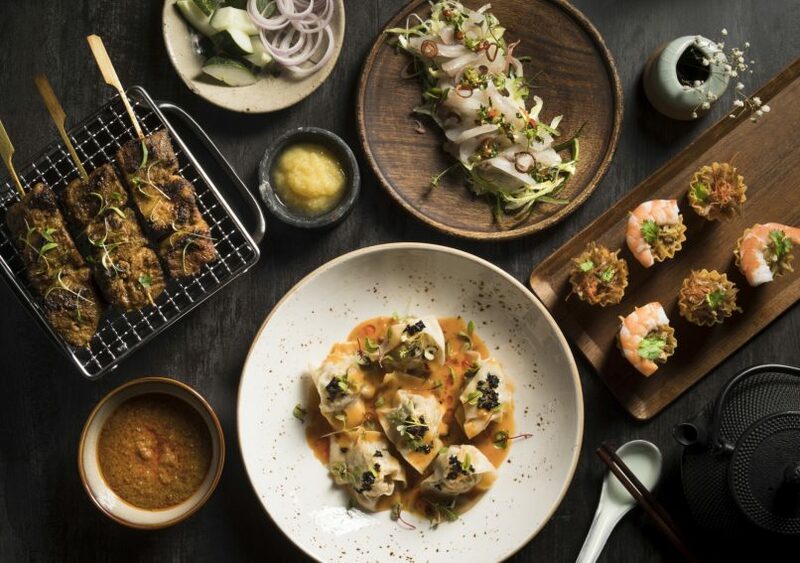 Our final favourite is the Iberico pork satay, where massive hunks of grilled Iberico skewers come served with one of the best (and most calorific) peanut sauces we’ve ever tasted. 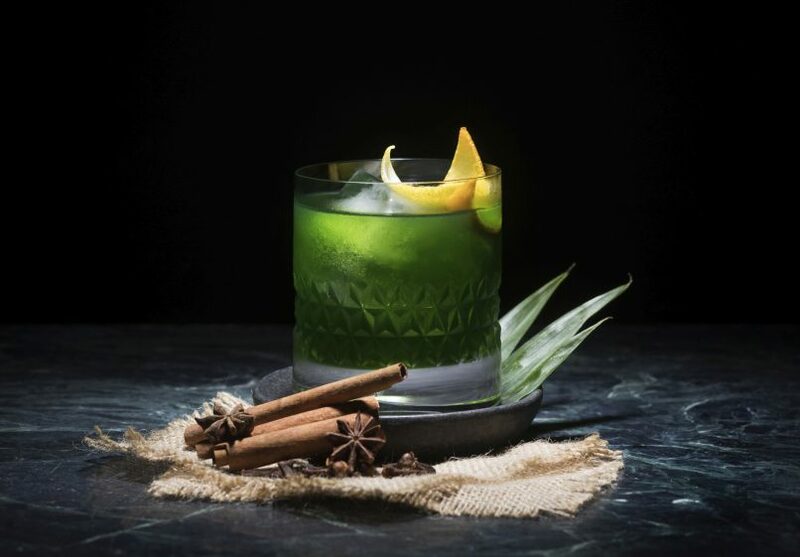 We’ve got to commend Zeng and team for taking their approach to ingredients so seriously, with each cocktail having at least one homemade component. 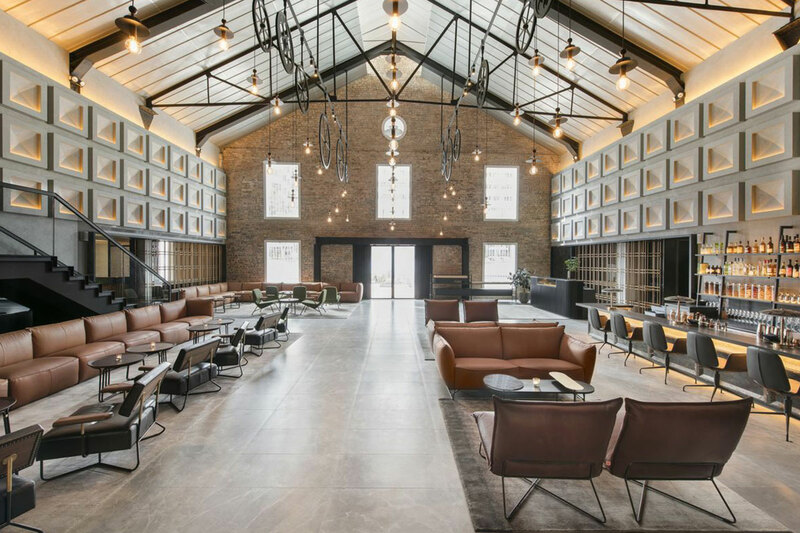 The Warehouse Hotel’s bar is a place to go to if you want to beat the after-work crowd at watering holes around the area, and just have a place to unwind with friends. Especially so if those friends enjoy sweeter cocktails.